The legal status of the West Bank has been a thorny issue wrapped in confusion, historical change, as well as ideological motivations at the expense of legal clarity. Below is a brief treatment of the issues pertaining to the legal status of the West Bank and it is designed to be an introductory overview. I would direct the reader who seeks additional information to another brief synopsis published recently in the Jerusalem Post Magazine titled: “50 Years of Law Versus Reality” (www.jpost.com May 26, 2017). Also listen to and read the work of Eugene Kontorovich at: http://insct.syr.edu/legal-case-israels-settlements/ a legal expert who devotes scholarly attention to the issue. Below is my own distillation of the issues, based on the above sources, designed to establish some foundation for discussion. Israel never imagined there would be 400,000 Jews living in the West Bank in a complex and politically charged project called the “settlements.” The land mass that includes the West Bank has been of questionable and debatable legal status for the last 50 years for sure but even before that. What is currently referred to as the West Bank was the outskirts of the Ottoman Empire who were defeated in World War I. The land became part of the British mandate and slipped into additional confusion about who had legal rights. When Israel took control of the land after Israel was attacked in 1967 (the Six-Day War) it fell into the category of “belligerent occupation.” This is a category of international law that requires the conquering force to adhere to a few rules of occupation. Under belligerent occupation the occupying force maintains the rights of the local people, agrees not to change the face of the land, and means that it cannot annex the land but is holding it temporarily. When land is acquired through force or war belligerent occupation is a mechanism for maintaining citizen rights and allowing political decisions to develop. One of the controversies and difficulties about the legal status of the West Bank is whether or not to apply the principles of The Hague Regulations or the Geneva Convention. Belligerent occupation is a principal from The Hague regulations. The Geneva Convention requires more humanitarian rule even including returning conquered land. But the Israelis argued that Jordan was not a legitimate owner because they had only recently annexed the West Bank in the 1948 war. So Israel argued that it took disputed land from a wartime situation and did not conquer it from a sovereign nation, that is, they did not conquer the land from a legitimate state namely Jordan. This is a key legal issue: did Israel acquire the West Bank from a legitimately recognized state that had sovereign power, which means according to the Geneva Accords Israel has obligations for peace negotiations, or was the West Bank genuinely disputed property. The argument by Israel that all of the West Bank was negotiable provided justification for the ballooning settlements. As the settlements have developed, historical and legal arguments about the rights of the Jewish people – supported by a variety of historical documents ranging from the Bible to the Balfour declaration – have become more pronounced. The preponderance of evidence supports the notion that acquiring land by building settlements is illegal. But, on the other hand, Israel argues that it is still engaged in belligerent occupation and protecting the rights of the local inhabitants, that is, the Palestinians. The legal status of the land acquired in 1967 is clearly debatable such that there are legal principles under which Israel is culpable according to international law, or principles that support Israel’s presence. In either case, the current situation is not sustainable. Sorry my friends who are blindly supportive of Israel but the US failure to veto UN Resolution 2335 was correct and justified. In December the United Nations passed a resolution condemning Israel’s settlement policies including the construction of new housing. The vote was 14-0 in favor of the resolution and the United States abstained. This caused an outpouring of anger and accusation claiming that the Obama administration initiated the failure to veto, and the whole thing was “shameful,” and “hostile to Israel.” The vote was nonbinding so various sanctions are not on the table. But it does have the possibility of internationalizing the conflict even more than it already is, and simply adding to the list of criticisms Israel must suffer. Yet the fact remains that no solution, no progress toward end of conflict, is going to include half a million settlers in the West Bank. The key issue, the fundamental principle, is for Israel to remain and continue to be Jewish and Democratic. It simply cannot do this in some sort of binational state or in circumstances in which Israel must oversee a hostile minority. The two state solution is the only answer that safeguards both Israel and begins the process of developing a Palestinian national and political identity along with institutions that protect and bolster Palestinian life. Obama should have made this point and been more critical of the settlements even earlier in his presidency. In fact, he has talked plenty about Israeli-Palestinian peace along with lofty generalities about our interests, but has really done very little to bring a two state solution into effect. This last minute abstention just before he scoots out of office was actually gutless on Obama’s part and helped the resolution lose some of its impact. So Kerry, in an effort to chastise and influence Israel, delivered a speech trying to appeal to moderate Israelis. Kerry’s speech was a cogent analysis of the current situation including admissions of deep despair between the two sides accompanied by anger, frustration, and unproductive indifference. More than a few specialists who weighed in on the issue wished the speech had been delivered a few years earlier. The basic principles of a future solution – there are six of them – are easily agreed upon and they include the recognition of Israel as a Jewish state with the right to exist. Israel also seeks a declaration of the “end of conflict” which provides a foundation for discussion and negotiation. True enough, the resolution is a rebuff to Israel but if the United States is going to be taken seriously as a negotiation partner, a fair and genuinely engaged partner, then it must be possible to point out disagreements and differences of opinion between the US and Israel. The settlements are described in the resolution as a major obstacle to the two state solution, and primarily responsible for the stagnation and lack of progress toward peace. It is true that the United Nations seems woefully biased and unbalanced when it easily finds ways to criticize Israel while the violence in Syria rages on and they do little or nothing about human rights violations around the world. Still, that should not stop the UN from doing what it must. But all of this commotion notwithstanding, the world is going to change on January 20 and highly symbolic United Nations votes (in the most vacuous sense of the term) will seem pretty insignificant. The fact that Secretary of State John Kerry has organized talks between the Israelis and Palestinians is noteworthy for two reasons – it’s a positive anytime you can bring these two sides together, and the world has issued a collective shrug. Israelis are generally bored with the Palestinians and don’t believe there is anyone really to talk to. The cynicism over the possibility of anything actually coming of these talks is extensive. Few people are even paying attention because they are so sure that this will all be an empty exercise. Even President Obama seems distant from the process. But we should avoid cynicism and I am all for any sort of engagement and it can be anytime, anyplace, and even under less than ideal conditions. There are numerous posts on this blog at various points in time explaining the advantages of communicative contact (e.g. see July 8th 2013). There are good reasons to have talks all of which are pertinent to unpacking this complex conflict and repackaging it into something sustainable. Let’s look at a few of them, but first a little context. The Kerry Talks are supposed to focus on final status issues; that is, the crucial six issues which are the status of Jerusalem, refugees, borders, Israeli security, settlements, and the Palestinian right of return. These issues have been ignored in the past and sometimes defined as too difficult and hence put off for a future date. Read some background on final status issues here . Barak and Arafat made some attempts at a final status agreement as did Olmert at Annapolis. These efforts failed and the explanation always was that the two sides were still too far apart. But it is also the case that both sides simply cannot imagine themselves settling on the decision. Conservative political blocs in Israel oppose the creation of a Palestinian state, and Palestinian leadership is a proxy for the larger Arab world and feels very uncomfortable giving up anything or recognizing Israel. The divisions that separate these two groups run deep especially when it comes to the special status of Jerusalem and refugees. Jerusalem just may be the most intractable problem because of its sanctity. The Palestinians, on the other hand, choke on the possibility of any recognition of Israel and will not accept their presence as a Jewish state. Gritty and thorny as these issues are talk is all the two sides have and there are reasons to engage it. The Palestinians have been frustrated and thus decided to go around the Israelis through, for example, their petition to the United Nations as a basis for claiming statehood. Any final agreements must be and should be the result of negotiation between the two principal sides, and the Palestinian petition to the United Nations was counterproductive and responsible for the deterioration of the process. Israel and the United States opposed the Palestinian petition to the United Nations and threatened financial pressures. The proposed talks can help repair the damage to the relationship between the three parties (the US, Israel, and the Palestinians) and move the center of discussion back to the principals. Secondly, the United States does not have the luxury of waiting around. Even though the conflict has been with us for decades and seems to be a constant on the political playing field, one in which the issues are fixed in people’s minds and will not change much, it remains a powerful symbol of difficult ethnopolitical conflict and the “clash of civilizations.” Moreover, the US has practical “on the ground” concerns with respect to terrorism, balanced international relations, oil, democracy development, and national security. Although the claim that the Israeli-Palestinian conflict is the cause of so much international tension is simply unjustified, it is a combustible political symbol that arouses ethnopolitical passions around the world. The settlement issue must be solved. 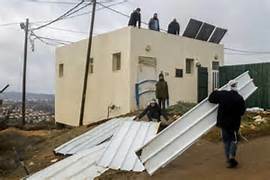 Israel will have difficulty moving settlers and the Palestinians have stated that they want no Israeli presence in the future state of Palestine. A Palestinian state must be negotiated by the two sides and cannot come into being otherwise. The two-state solution is the only way that Israel remains Jewish and democratic and there is considerable work to be completed before the contours of this potential state are fashioned. Finally, talking to one another is the only way that compromises and adjustments will be made. Both sides have powerful positions that control aspects of the discussion and direct communicative encounters are the only way these compromises and adjustments will come into being. My guess is that these talks will fail but at least represent a step in a long journey. It’s possible that both sides believe the other will be the cause of the failure and have agreed to enter into the discussions for that reason alone. Sadly enough, I’m still of the opinion that there is insufficient pain. In other words, if conflicting parties have to wait until they are at a “hurting stalemate” before they get serious than these two parties simply aren’t hurting enough yet. Those who argue that Israeli settlements are illegal cling to their position with considerable passion. They maintain that settlers are living in a fictional world with a tremendous commitment to Israel but not to human rights or anyone else. The arguments are typically made on the basis of international law – which is a questionable and still unclear legal domain with respect to matters of legitimacy and efficacy. But in any case, the challenge to the Geneva Accords is directly confronted. The Geneva Accords, the argument goes, is concerned with people, not land, and claiming that the Accords do not apply to the West Bank because it is not strictly the territory of a sovereign state is inconsistent with the spirit of the convention. The Accords are further interpreted as protecting any group of people who find themselves in the clutches of an occupying power. This argument than devolves into discussion of the minutia of the Geneva Accords including interpretations and intentions that are probably impossible to know with any reliability. Those who deny the legality of the settlements claim that the near universal consensus on the matter is sufficient to establish the argument. The international standing of the United Nations does not rise to the level of commonly accepted international law, but it is a significant body that functions in a legal capacity. That said, United Nations Security Council resolutions consistently call for Israel’s withdrawal from the territories and reaffirms the conviction that Israel is occupying the land illegally. The UN regularly treats the Israeli occupation as illegal and often defines it as a simple fact which is not subject to dispute. If it is possible to establish the territories as “occupied” then settlement activity is illegal. The West Bank is consistently considered occupied by the UN and this by definition makes settlement activity illegal. Very simply, it is somebody else’s land. Moreover, if a territory is occupied then the occupying powers cannot transfer its citizens to the conquered territory, making what Israel does illegal. As I stated in last week’s post if the legal status of the land is unclear and no one has a clear political claim then settlement in that territory is permissible and the settlements would be legal. 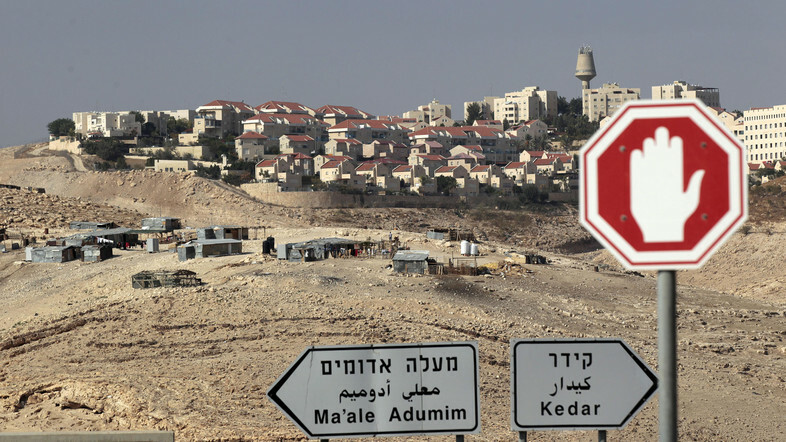 The defenders of legality claim that the prohibition against population transfer applies in cases unrelated to Israel; that is, if the land is available for use than those who moved there to use it are not violating any laws. But, of course, if the West Bank is considered to be official Palestinian territory then Israeli settler encroachment into that territory would be illegal. Israel insists that its presence in the West Bank is militarily justified because of the attack on Israel in 1967 and Israel’s right to establish defensible borders as a result of success in the 1967 war. But the counter to this point is that Israel’s presence is not necessary for its security and that the occupation is thus illegal because it is a ruse for rank land acquisition. There is what is called “customary” international law which argues for the legal power of such “customary international law” when it represents the accumulated weight of international opinion. Even if there is no legitimately recognized international court, when it is a matter of overwhelming international opinion that settlement activity is illegal and inappropriate then such sentiment has the weight of legality behind it. Finally, the International Court of Justice concluded that the mandate for Palestine was about self-determination for Palestinians and never mentioned anything about Jewish rights. Accordingly, any Jewish presence in the Palestinian territories is illegal. 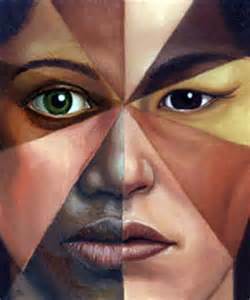 The arguments on both sides of the issue can carry weight and have elements of them that are defensible. For that reason, the matter will not be solved on the basis of legal issues alone. Rather, the pressing interest of peace and solutions that respond to the needs of all parties are more important than legal debates. Having said that, I do not mean to diminish the importance of legal precedents and standing except to remind people that the law is simply a form of conflict resolution and some problems are solved by methods that do not involve formal legal arguments. The Israeli-Palestinian conflict will be one of them. Even the beginning student of conflict management knows that some people simply will not change their mind or be convinced by arguments, no matter how unassailable, about historical incidents and accuracy. But the law is one of the best ways to understand an issue. Everyone wonders about the legal standing of settlements eventually. The video lecture below is a well done explanation of some issues and I highly recommend it. Click The Legal case for Israel to hear the lecture. But let me make a few other points. When some states don’t even recognize the legal legitimacy of the state of Israel, you know that” the law” is as easily manipulated and fungible as any other domain of knowledge. My goal here is not to explicate in detail elaborate legal arguments but to try and find some clear simplicity. In addition to the video above, a good reading pertaining to the legality of the settlements appeared a couple of years ago in the American Interest. It can be found here. Read the article in the American Interest at your leisure but we must begin with some basics. Some legal scholars argue that the West Bank and Gaza remain unassigned by the mandate. Others claim it is Palestinian territory. But one of the strongest arguments against the legality of the settlements results from the Geneva Convention in 1949. It stated that no occupying power (that would be Israel) can transfer its own citizens into occupied or newly acquired territory. Moreover, UN resolution 242 calls for the withdrawal of Israeli troops from occupied territory. But it is also clearly recognized that Israel in the Six-Day War fought a lawful war based on its inherent right of self-defense recognized by the UN charter. Israel’s incursion into the West Bank was the result of aggression and Israel had every right to defend itself including maintaining a security presence. 1. Since the defeat of the Ottoman Empire in World War I no country has any firm legal standing or recognized legal rights to the occupied territories. Hence, what is termed the territories has never been part of a legally recognized sovereign and consolidated state and thus the prohibitions about population incursions from the Geneva Convention do not apply. If Spain overwhelmed Portugal and began to establish Spanish communities and populations in land acquired through violence then this would be a clear violation of the Geneva Accords. But what is termed “the territories” does not meet the definitional standards of a sovereign state. In addition, it has been cogently argued that the Geneva Accord was designed to respond to the Nazis who transferred populations for the purpose of colonization and to obliterate the existing population. This, the argument goes, has nothing to do with Israel whose settlements are not designed for colonization. 2. A second argument is that the occupied territories were assigned to the Jews by both the mandate and the United Nations partition thus giving Jews the right to use and settle the land. This is based on the assumption that the legal status of the territories has not been established and Jews have no fewer rights or less justified legal standing than anyone else. I will state the arguments for the illegal nature of the settlements perhaps in the next post. But it is important to underscore that legal arguments are not always the best way to solve a problem. They often enough lack clarity and specificity and do not satisfy sufficiently both sides. Making a legal claim, especially in an unclear legal environment, can fail to satisfy either party. The Israelis and Palestinians should solve their problems themselves.